Poppy is a waddling, toddling pig with big dreams. She wants to be a star! But she soon discovers that's not as easy as it sounds. It's only when Poppy feels the magic of gliding and sliding, swirling and twirling on ice that our most persistent pig truly believes in herself: Poppy, star of the rink! Kristi Yamaguchi is an ice-skating Olympic gold medalist and world champion who knows how to make dreams come true. 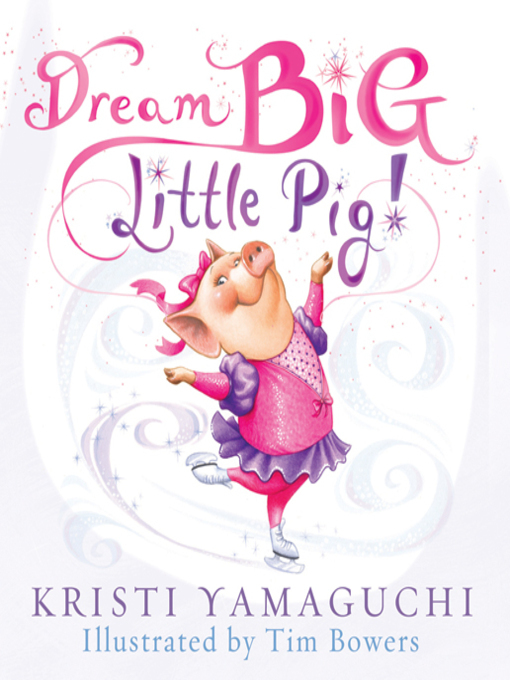 Through her picture book debut, Kristi inspires children of all ages to dream big! Kristi Yamaguchi is an Olympic figure skating champion and winner of Dancing With the Stars. Her motto "Always Dream" contributed to her success on and off the ice and is one that she aspires to instill in the hearts of children. Kristi currently lives in the San Francisco Bay area with her husband and their two young daughters.